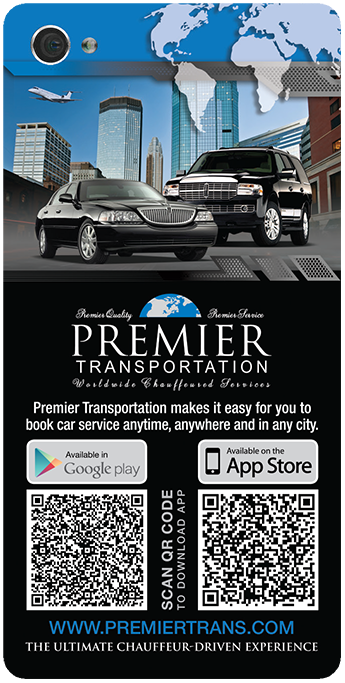 MINNEAPOLIS, January 15, 2013 – Premier Transportation, a locally woman-owned and operated chauffeured transportation company, has released its own mobile app for iPhones, iPads and Android smartphones and tablets. “We wanted to be the first locally operated chauffeur driven transportation company to offer our corporate and leisure customers the convenience and technology of a custom mobile app. You can access a number of different features that make it much easier for travelers to book car services that will promptly deliver you and your guests to and from your destination,” says Nicole French, vice president of sales and marketing for Premier Transportation. Customers can download the Premier Transportation App NOW and instantly be able to book ground transportation services locally and in worldwide with our easy to use interface. The Premier Transportation mobile application allows customers to create real-time reservations for chauffeured ground transportation in over 550 cities across the globe. Premier Transportation provides door-to-door pick up service 24 hours a day, 7 days a week. Premier Transportation will get you to your destination safely with a professionally trained chauffeur. Premier Transportation service includes to/from Airport Transfers where we will track your flight and have your driver at the airport upon your arrival. 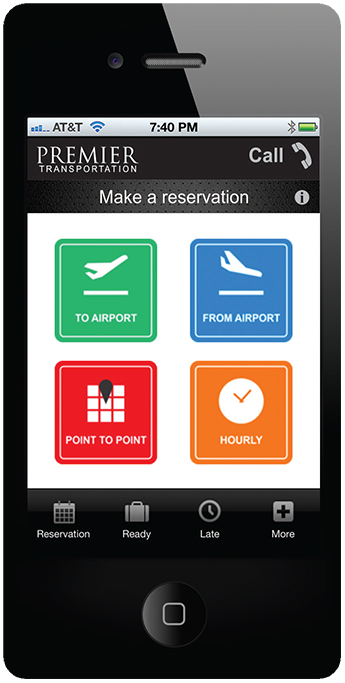 Point-to-Point Transfers to/from restaurants, hotels, office meetings, residences and multiple destinations. Also book Hourly/As Directed transportation to enjoy a night out on the town with family and friends. We are #1 in providing innovative solutions for your travel needs by providing exceptional service! No detail is too small, no request too big. Premier Transportation chauffeurs are the experts on the road. • Download our FREE app TODAY!